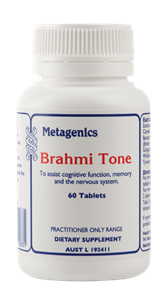 Reduce stress-induced physical and mental fatigue. Coleus and essential nutrients for a healthy thyroid. Hypericum is an extensively researched herb with many major clinical studies and meta–analysis supporting its use to support healthy mood. It is combined with SAMe, a major methyl donor and an important compound in catecholamine synthesis. Folinic acid is also a methyl donor and a metabolically active form of folate. Folinic acid bypasses several steps in the conversion of folic acid to 5-MTHF and has a longer half-life in the body. 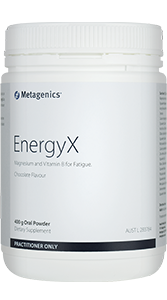 Rhodiola and withania are adaptogenic herbs which may enhance the body’s ability to cope with stress. Rhodiola has been clinically trialled in male students with stress-induced physical and mental performance. Results revealed significant improvements in both physical health and mental fatigue in just 20 days. Thyroid hormone synthesis is supported by the inclusion of iodine and selenium. 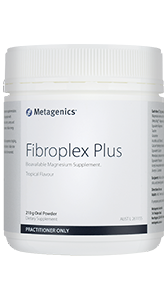 These combine with coleus to assist normal healthy thyroid function. Directions: Adults: Take 1 tablet twice daily. Warning: This product contains selenium which is toxic in high doses. A daily dose of 150 micrograms for adults of selenium from dietary supplements should not be exceeded. St John’s Wort affects the way many prescription medicines work – including the oral contraceptive pill. Consult your doctor. 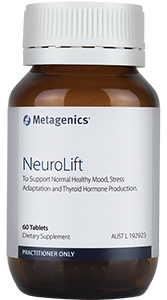 Individuals who are using prescription anti-depressants or suffer from bipolar depression should not use this product unless under the supervision of a healthcare practitioner.